What a difference a word makes. Burning Lamb is a play on the name Burning Man, and the two could hardly be more different experiences. While fire is an element common to both, Burning Lamb is a celebration of Sierra Nevada cultural history. Circa the 1920s, Wheeler Sheep Camp was a sheepherding station in the Sierra National Forest at Kyburz Flat, north of Truckee. Basque sheepherders would head out into the mountains and were supplied from this location. Lamb stew and hearty Basque breads were a key part of their diet. The Burning Lamb celebration is a re-creation of some of this tradition, with Dutch ovens used to cook large loaves of bread and the stew. 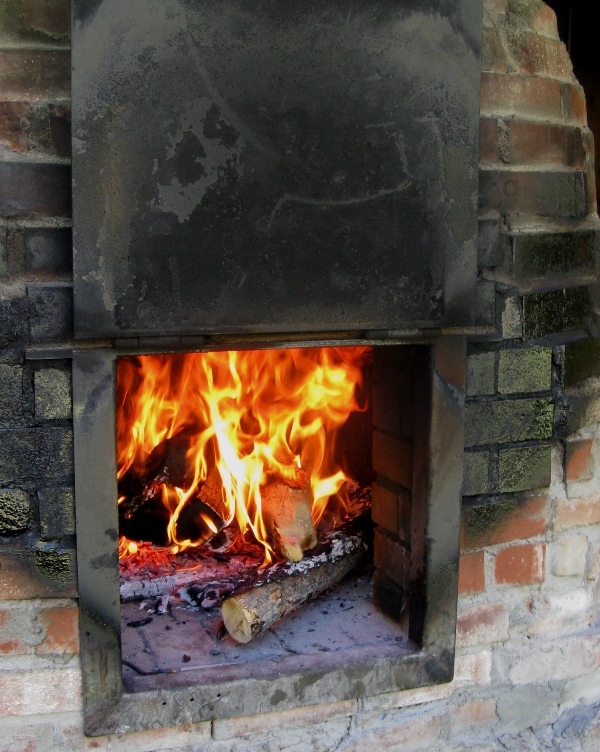 The old oven used to bake supplies for the sheepherders has been restored to working condition and is used to bake the evening meal. This has become an annual celebration of food lovers and — in the tradition of a sheepherding station — dog lovers. Unfortunately, I couldn’t attend the full event! 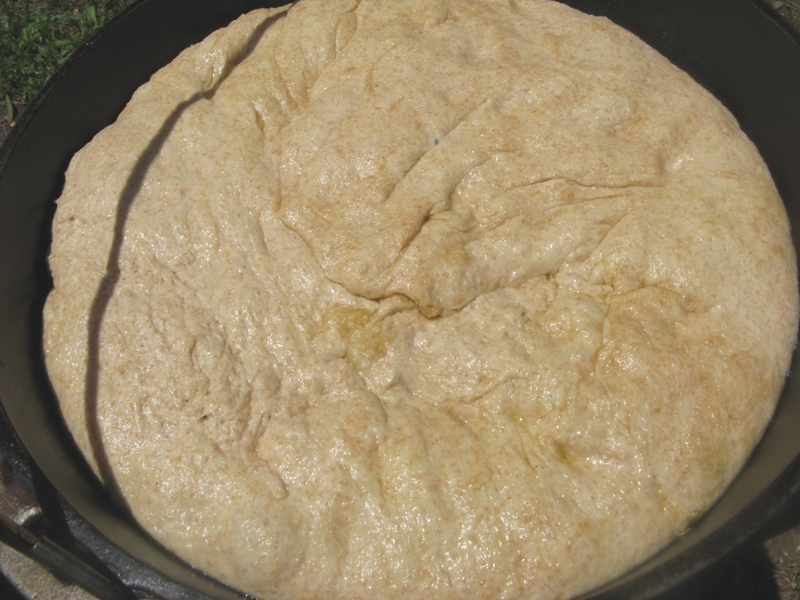 However, with a dance workshop scheduled in Truckee, just 15 minutes away, I was able to attend the morning’s preparatory activities of mixing bread dough. Take a look at this hefty loaf of bread before baking! 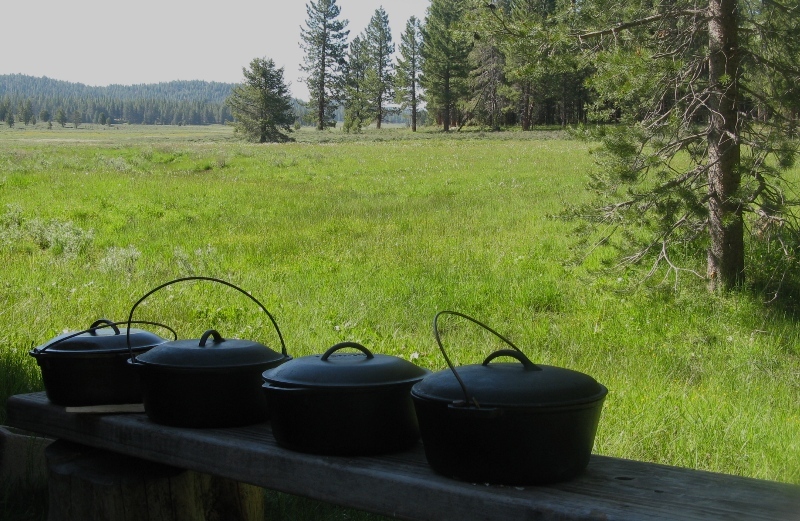 I understand that these loaves bake up and lift the heavy cast iron lids off of the Dutch ovens. Although held in late June, this is still springtime in the area, so I enjoyed the many flowers and birds. My favorite was a type of lupine I’ve never seen before, a low (3 inch) groundcover. 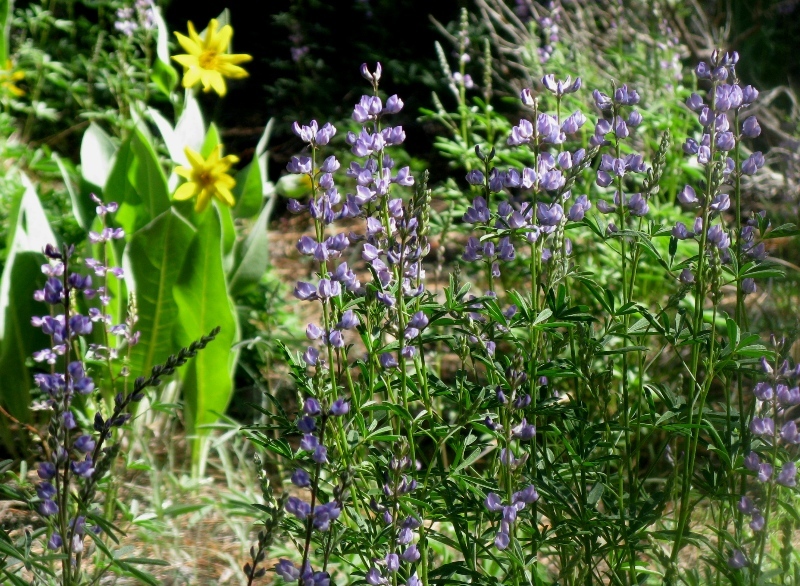 Other, taller lupine and mule ears are pictured. I hope to attend the full event next year, to partake of the food, music and good company of others who appreciate this small slice of Sierra Nevada history.